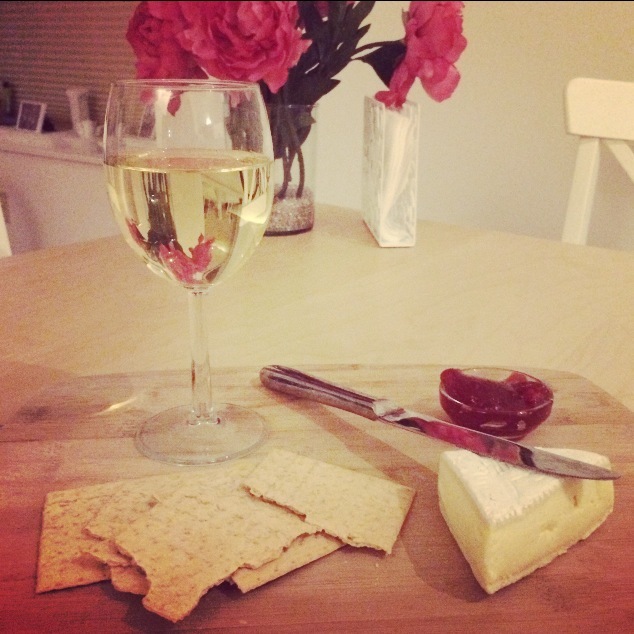 Tonight, I decided to treat myself to a glass of wine and my favorite cheese: brie. The round disk of soft, sweet cheese is often found with a powdery white rind, but don’t be intimidated, it’s edible. (Promise!) It’s served in a variety of ways, including: room-temperature with crackers and fruit preserves; and baked into a sweet and crispy pastry crust with cranberries and almonds. You will typically see a lot this delectable cheese around the holidays–and it is sure to delight your host if you bring it to a party as an appetizer. Soft cheeses, like brie, are usually paired with a dry Riesling, Chardonney, or Champagne. 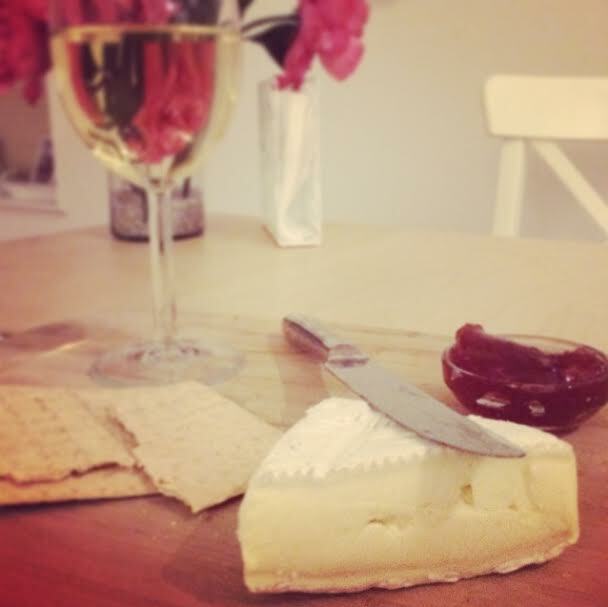 I picked up one of my favorite Rieslings and served my brie at room temp with Glutino Table Crackers and Strawberry Preserves! I love brie! Luckily cheese is gluten-free. Completely agree! Add that to the list of things I’m thankful for!